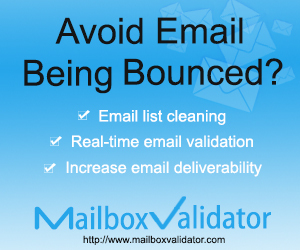 Promote MailboxValidator on your web pages using our banners. 3 different designs are available. To display a banner on your web page, simply copy and paste the following HTML codes into your web page. Replace the <AFFILIATE_ID> with your affiliate ID. You can obtain this ID at the account area.